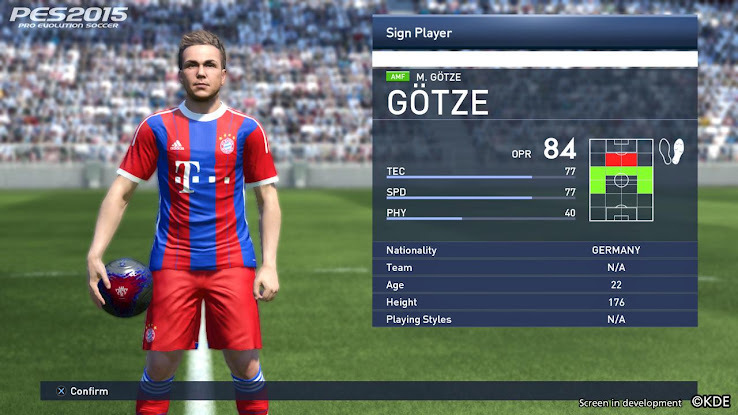 Along with the Release Date, Demo and Cover Star announcements, Konami also released some more new PES 2015 screens today. These are the new PES 2015 images released for Gamescom 2014. 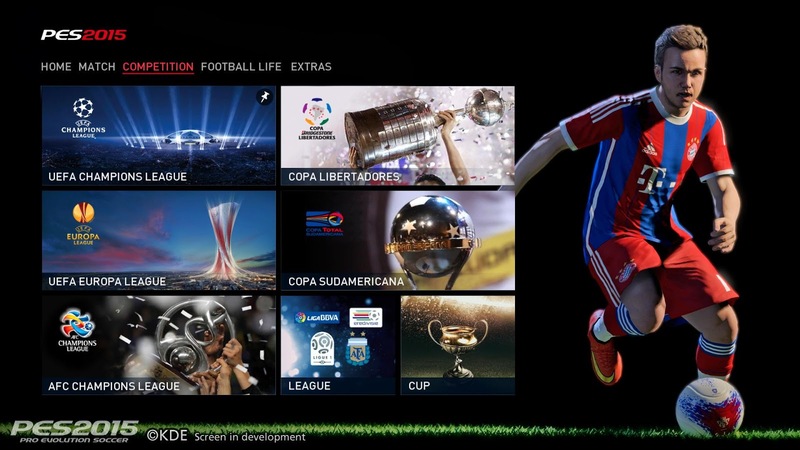 The new PES 2015 screenshots are showing the updated, 'flat' menu. 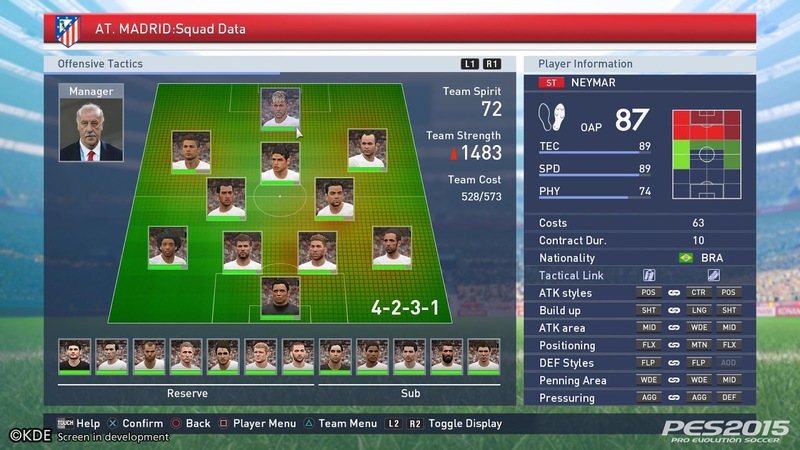 The new UI influences the main menu as well as the lineup screen (as seen on the MyClub image). There are also images from the new PES 2015 MyClub mode, showing the inclusion of coaches. 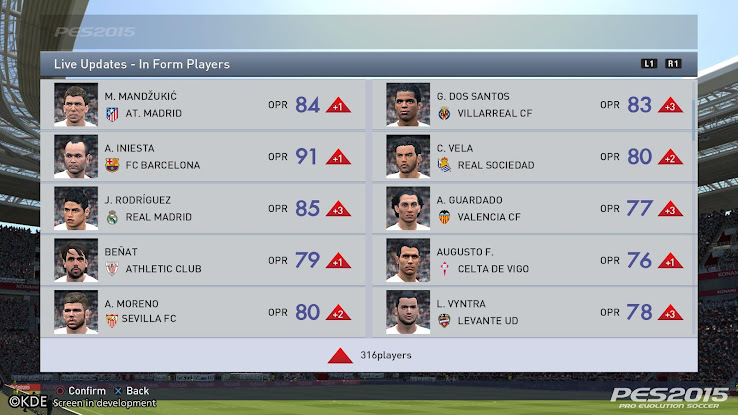 There is another PES 2015 screen which shows the 'in form players' from the new PES 2015 weekly updates.